A very special double show, giving you two opportunities to see these three musical luminaries. BB&C is an explosive three-headed monster featuring New York City’s Tim Berne (saxophone), Jim Black (drums) & the ever-exploring Nels Cline (guitar). Their debut CD ‘The Veil’ is from a live recording at The Stone in New York City. Combining elements of avant-garde jazz, skronk rock, heavy metal, and other uncategorizable influences, BB&C is a collaboration between three international jazz pioneers. Mopomoso will be hosting an evening of intimate and engaging free improvisations from a range of very different and highly skilled musicians including three sets of trios: Trio Rewind playing Columbian Tiplé, Wire Assembly trio with all things strings and electric, and Alice Eldridge (cello), Satoko Fukuda (violin) and John Russell (guitar) performing music of uncompromising subtleness and beauty. Italian firebrand saxophonist Daniele Martini joins forces with two top notch British improvisers to create this trio exploring wide-ranging improvisation, rich textual invention, and dynamics with Dominic Lash (double bass) and Mark Sanders (drums). John Law’s new project explores electronic sounds and effects over drum grooves with spontaneous group interaction between keyboards, soprano/bass clarinet & guitar. 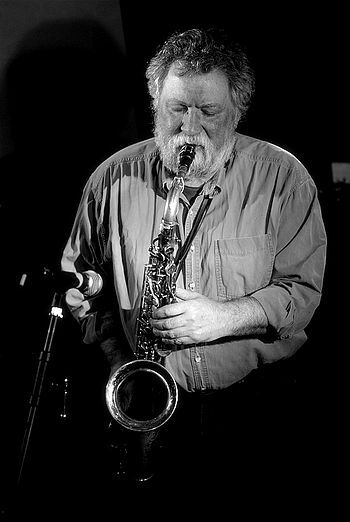 A major force in European improvising, Evan Parker is one of Europe’s most innovative and intriguing saxophonists. Tonight he plays in this virtuosic trio exploring new frontiers of sound and musical possibility. Yes, Gary Lucas was in The Magic Band; although, to go by his most recent solo effort and debut for the Brooklyn-based Northern Spy label, Cinefantastique (buy it from Amazon), you’d hardly guess as much. Indeed, it’s only during his live rendition of the theme from Vertigo—some halfway through this lengthy but varied collection of cover songs from the movies—that he lets rip with the kind of guitar wig-outs with which he made his name as a member of Captain Beefheart‘s troupe in the early 1980s. The 2014 Berlin edition of the festival will feature 10 artists. 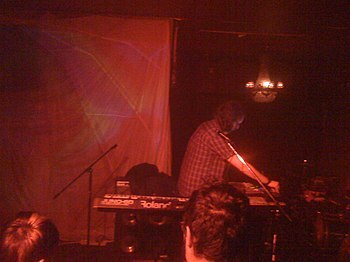 Their sets will – as always – be as long as a proper club concert.